Shirley Ip is the principal keyboard of the Hong Kong Philharmonic Orchestra, where she has been playing since 1992. She has also played with the American Symphony Orchestra, I Musici de Montréal and the Kammerensemble. In addition to performing landmark piano concertos and orchestral works such as Saint-Saëns's Carnival of the Animals, she has also premiered works by Hong Kong composers and innovators of the 20th century including Stravinsky, Lutoslawski, Górecki and Messiaen. 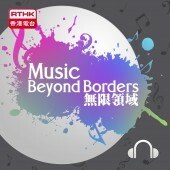 In her solo recital for RTHK-Radio 4’s series Music Beyond Borders, Shirley Ip devised a Spanish piano programme and performed Turina’s Danzas Gitanas (Gipsy Dances) in its entirety. With the exception of the well-known Sacromonte, a complete recording of this work is difficult to find. She also performed the seldom heard Valses Sentimentales by Granados. Shirley Ip is a teaching member of the Hong Kong Academy for Performing Arts.